July 25, 2015 (by Jimmy) – When you travel from one place to another, you can normally look on the Internet to find things to do or places to go in the area in which you find yourself. We did that when we stayed in different campgrounds across the Gulf Coast. Now that we have been in one location for four months, we are getting to the end of the touristy things, but we still want to try new things here, but what? How do we find the new things going on in the area? Newspaper!!! 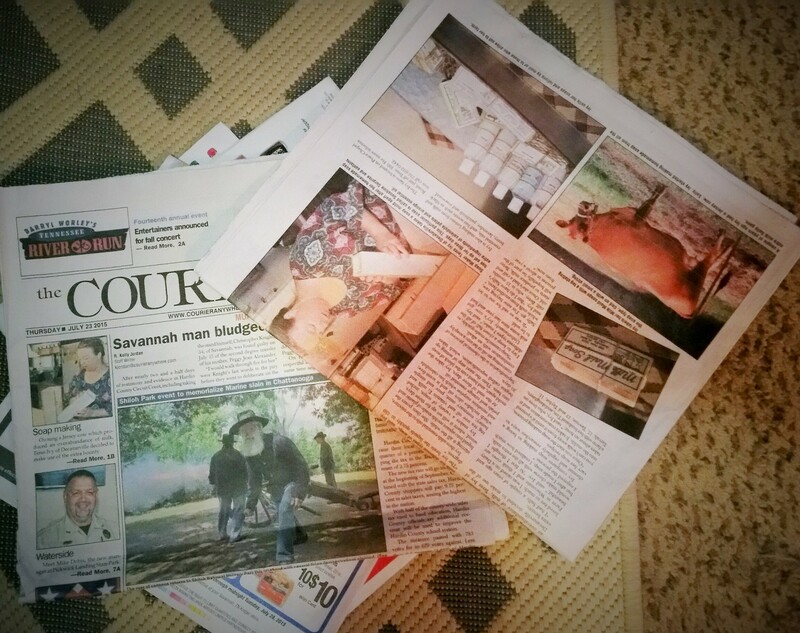 The Courier is the newspaper of Savannah, Tennessee, and since Angela and I were heading to Florence, Alabama, to pick up some medicine, we decided to take along a newspaper to read on the way out and back. This turned out to be a joy. I was driving out to Florence, so Angela skimmed the information she found interesting. She covered soap making, pictures of last week’s rodeo (of which we were unaware), and the line-up for this year’s 14th annual Tennessee River Run event in October. 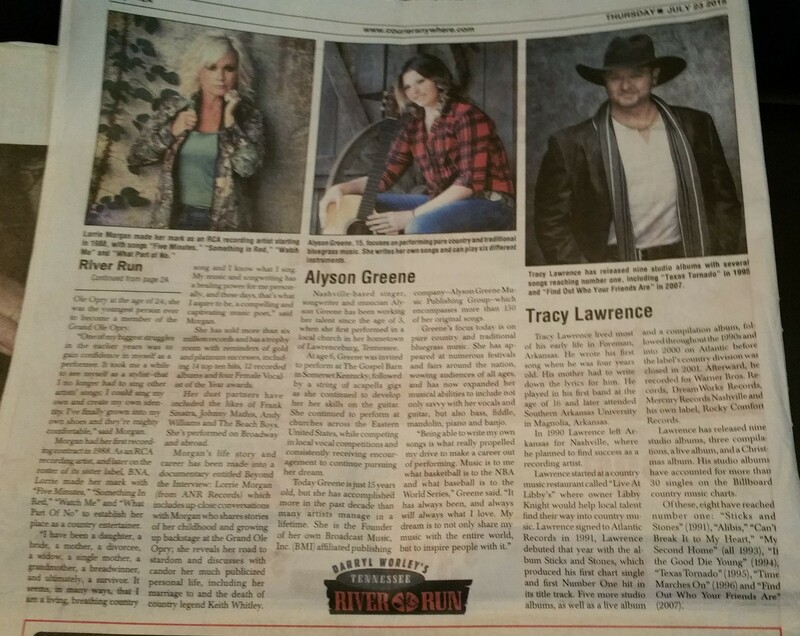 I’m sure there will be county fairs and such this fall, but there were a number of things that we found in the paper that we would not have known about unless we happened upon it by chance. On the way home, I got to read the paper while Angela drove. Now I’m a people person, I like to read the things that give me a glimpse of the people in the area. 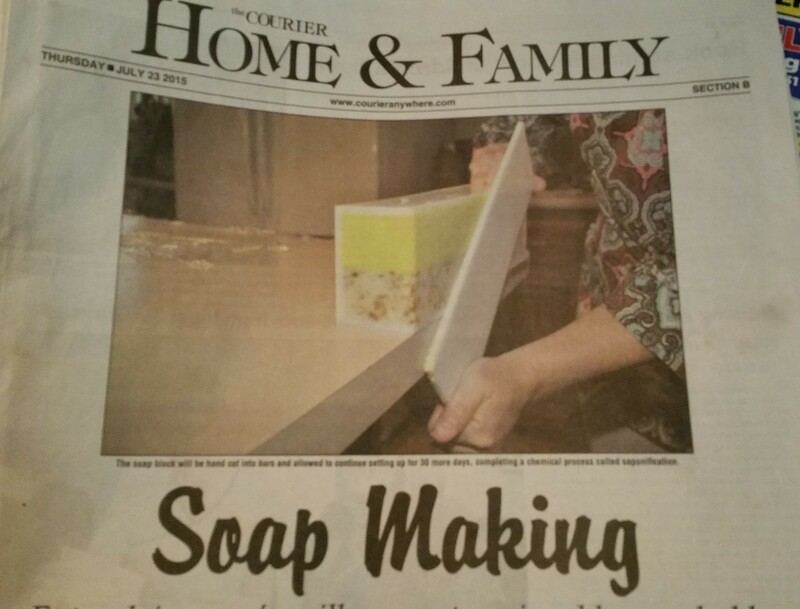 In a small town paper, what better place to find that than in the “Community News” section. 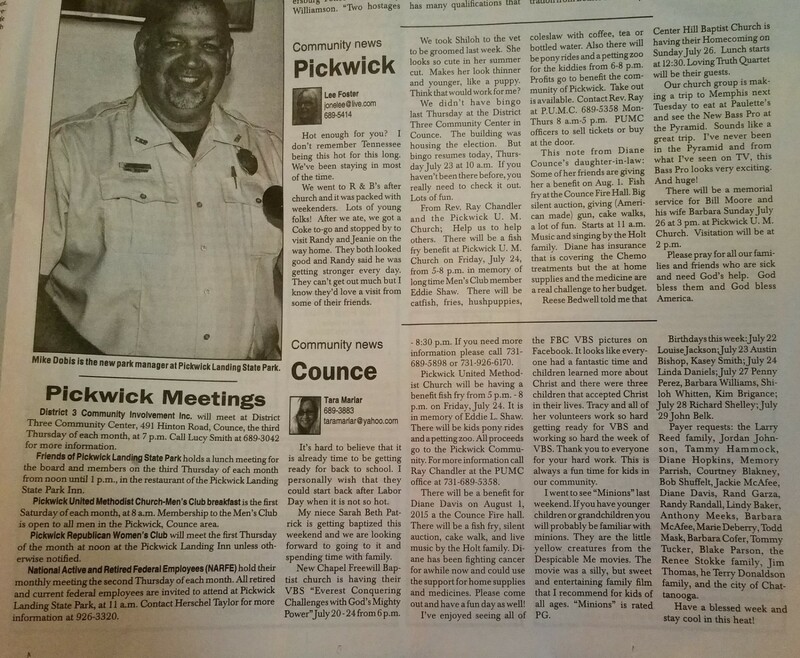 I first read the “Pickwick News,” which was the Methodist news from around Pickwick Lake. They mentioned a benefit Fish Fry in Counce put on by the Methodist Church, a memorial service, and the writer stopped by to see and was happy to find that Randy and Jeanie were looking well. I then read the “Counce News,” which was the Baptist news just west of the lake. They mentioned Vacation Bible School, that the Minion Movie is good family entertainment, birthdays, prayer request, and, oh yeah, there’s a benefit Fish Fry in Counce put on by the Methodist Church. Next was news from Walnut Grove, which is the Pentecostal news north of the lake. The Pastor rented a pontoon boat and everyone had a blast on the lake. There was thanks to all who donated to send a group to a youth conference in Alabama. There was no mention of the Counce Fish Fry. Reading all of these different Community News articles endeared me to this area. It reminded me of my home town growing up. I had fun reading these, and I also made fun of some of the wording, but I really got a good feeling. I see that this area is a community of hardworking, churchgoing, family loving people. This is the South at its best, and I couldn’t have selected a better place in which to have a long term contract.